Unplug. Smell some flowers. Go play in the park with children – yours, or someone else’s. Run. Shout. Sing. 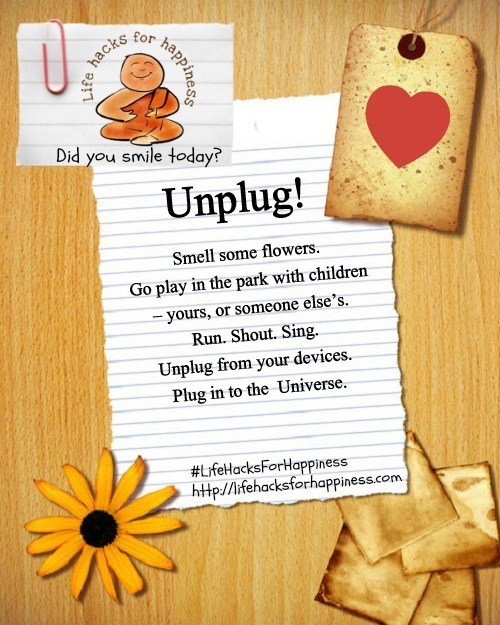 Unplug from your devices. Plug in to the Universe, watch it unfold.